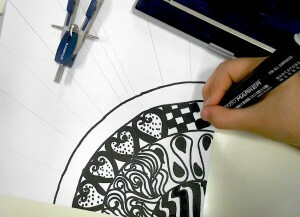 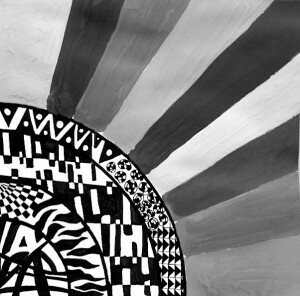 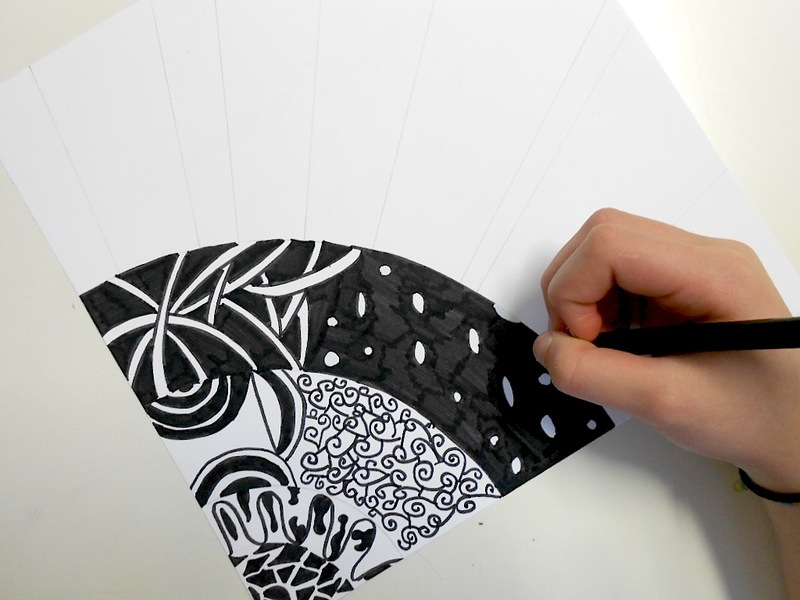 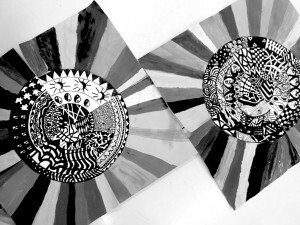 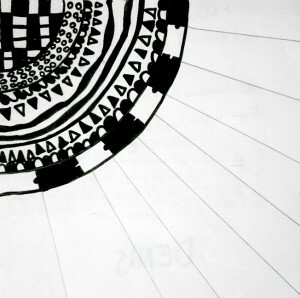 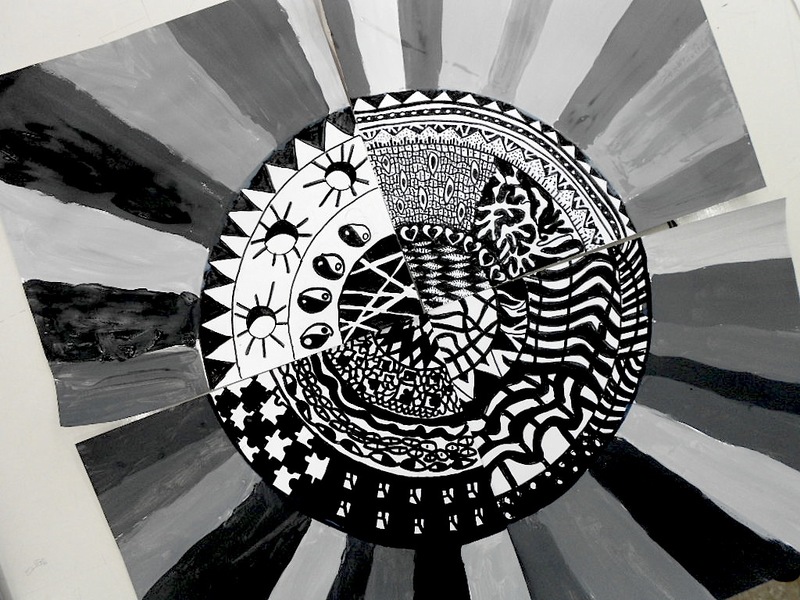 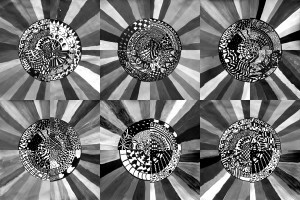 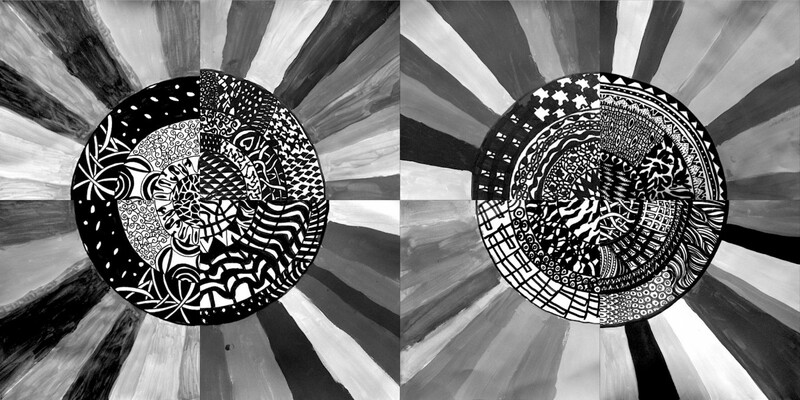 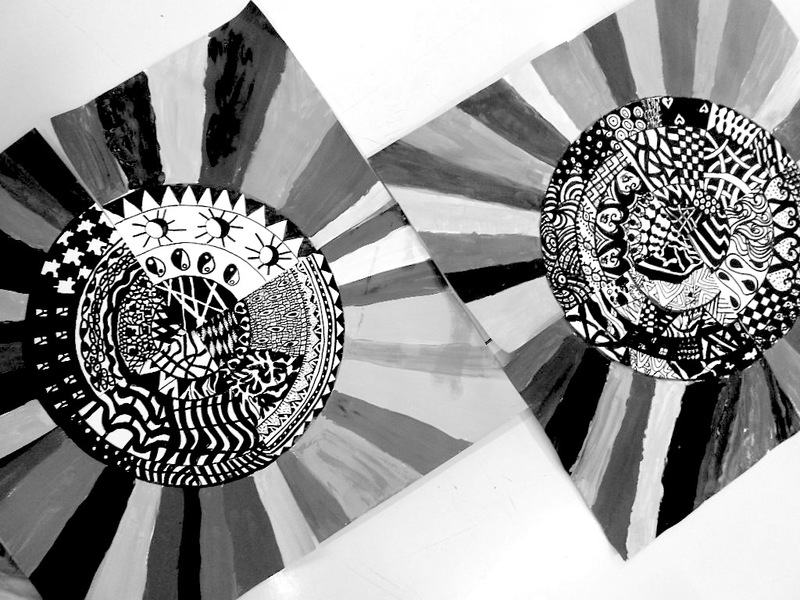 Each student in the class of grade 7 has drawn a quarter of a circle with decorations zentangle, made ​​with a black marker. 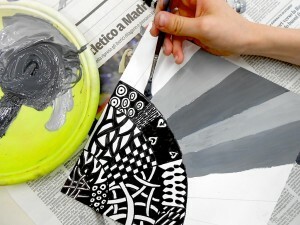 The background was divided into rays of different sizes, painted with acrylic paint in various shades of gray. 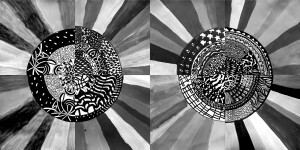 The paintings, combined together, create a series of monochromatic circles very stylish.